Do questions like ‘Who am I?’, ‘what am I doing here?’ ever cross your mind and make you restless? Ever wondered why you have been placed here, in this life? Do you feel that, given a choice and the appropriate space for it, you could have done something different rather than doing something merely to ‘make a living’? We, at PRAVAH, seek to provide not only answers to these questions but also an opportunity to change – the self and, eventually, the society we are part of, through the SMILE In-Turn-Ship. Unlike any other internship, SMILE in-turn-ship focuses on the individual and the reflection-based journey they embark on during their 4-6 week experience in rural India. This novel approach and focus also bring out very different results than what most internships aim at. SMILE is a space where one starts by thinking one is ‘giving’ to the other, only to end with the realization that the other has changed you. In this space, we bring you the first in a series of ‘change’ stories that have become synonymous to SMILE. Look out for more stories from ex-Smilers and help us reconnect with them. Dr. Vikas Amte, the chief at Anandwan confronted Parul and her co-SMILERs why they had come all the way from Delhi to visit a ‘jail’. That optimism and self-sufficiency can play wonderfully positive roles in acting as catalysts for change was one of the biggest takeaways for this budding youngster. She put both these qualities into practice in coping and overcoming, personal hurdles like understanding and communicating in the local language or dealing with rural-urban divide on how women dress or simply prevailing over as prosaic a thing as one’s laziness, during the course of her journey. It has been thirteen long years since Parul underwent this insightful voyage into the self. The rewards from those enriching moments at Anandwan, we hope, have stayed with her. And that is what SMILE strives to facilitate in its volunteers – the ability to imbibe the learning of the ‘NOW’ and translate them into actions for ‘TOMORROW’. 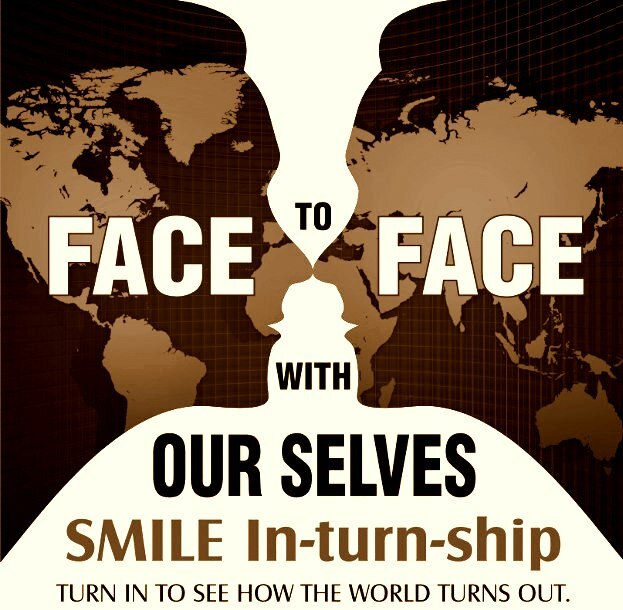 Registrations for the 2013 sSummer SMILE In-turn-ship are ongoing. Come, join us on this voyage from ‘Me’ to ‘We’. SMILE with us! Visit www.pravah.org or Like our Facebook page. Anandwan (Forest of Joy) or the Maharogi Sewa Samiti is a non-profit organization in Central India helping socially challenged people enhance their livelihood capabilities through self-discovery and empowering them to contribute back to the society. It was founded in 1949 by internationally known human rights activist Baba Amte, to better the plight of the marginalized leprosy patients and people with disabilities through treatment, training and active inducement in self managed communes. Send us your email address and we’ll get in touch!